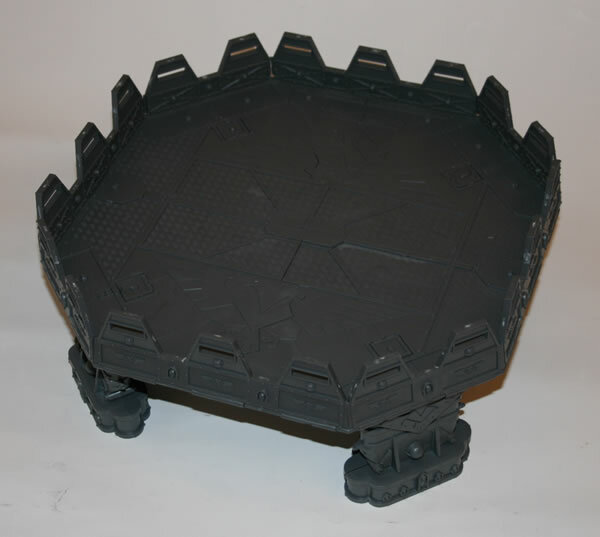 Landing pads are launch bases used by flight-capable craft to unload or evacuate troops and vital personnel. 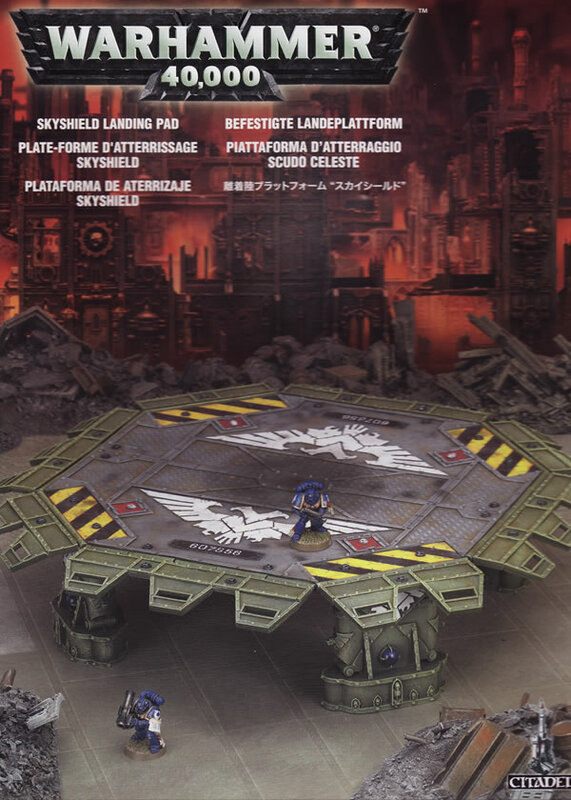 The Skyshield landing pad used by the Imperial Navy, though originally purpose-built to accommodate Valkyrie and Vendetta gunships, is robust enough to serve even the Thunderhawks of the Adeptus Astartes, and has field generators that protect the craft and its crew from incoming fire. 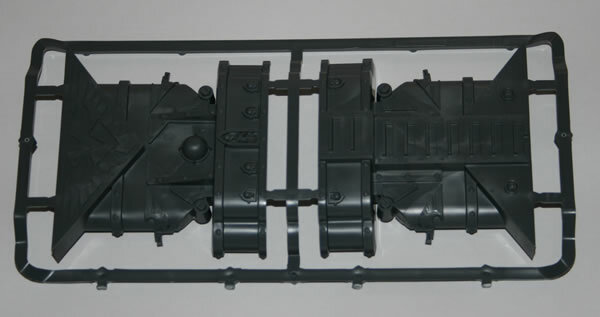 The plastic kit is quite clever with four sets of two sprues. 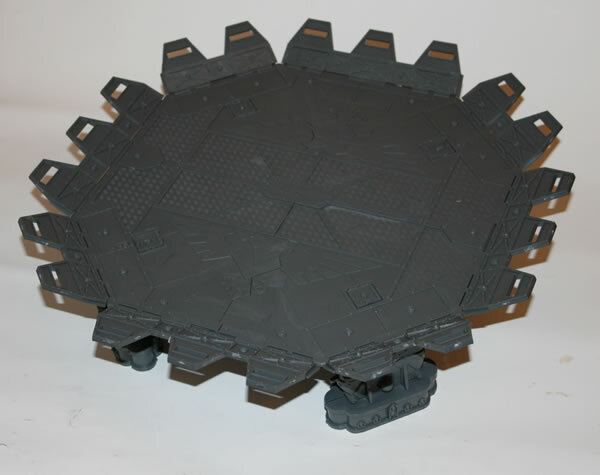 One sprue is for the legs and the other is a "quarter" of the landing pad. The leg components go together really easily. However ensuring that the sides remain stuck whilst still been able to be moved is not as easy as the instructions make it sound.